The 2016 Honda Pioneer 1000 EPS is one of the models being recalled. Honda is recalling approximately 65,000 Pioneer 1000 utility vehicles because potential muffler overheating may cause a plastic heat shield to melt or catch fire. Consumers should immediately stop using the vehicles and contact a Honda powersports dealer for a free inspection and repair. Honda is contacting all known purchasers directly. The recall involves model year 2016, 2017 and some 2018 three passenger and five passenger Pioneer 1000 vehicles. The vehicles were sold from October 2015 through April 2018. The following recall information is from the Consumer Product Safety Commission. Hazard: The muffler can overheat, causing the plastic heat shield to melt or catch fire, posing a fire and burn hazard to consumers. Consumer Contact: American Honda toll-free at 866-784-1870 from 8:30 a.m. to 4:30 p.m. PT Monday through Friday or online at http://powersports.honda.com and click on “Recall Information” at the bottom of the page for more information. Incidents/Injuries: The firm has received 22 reports of the muffler plastic heat shield melting and three reports of muffler plastic heat shield fires. No injuries have been reported. Sold At: Authorized Honda Powersports dealers nationwide from October 2015 through April 2018 for between $14,000 and $22,000. Manufacturer(s): American Honda Motor Company Inc., of Torrance, Calif.
SVR’s Take: This is another very large recall for the industry and once again related to an overheating and heat shield issue that can create a fire hazard. While massive recalls by Polaris have probably received the most attention in the industry, other manufacturers have had very large recalls as well. Horsepower is one of the key vehicle specifications that manufacturers use to differentiate their offerings. This has created an atmosphere of one-upsmanship regarding engine size with each vehicle introduction trying to outdo the last in terms of horsepower. Given the large number of recalls in recent years related to overheating and/or fire hazards one has to wonder if the industry’s expertise in engine technology has outpaced their expertise in handling the additional heat output by these increasingly powerful engines. SVR has been tracking utility vehicle recalls for the past several years. The 2018 Honda Pioneer 500 is Honda’s entry level utility vehicle. The Honda Pioneer is available in Red or Olive, or for in Honda Phantom Camo for an additional $600. The following are highlights from several different reviews of the 2018 Honda Pioneer 500. 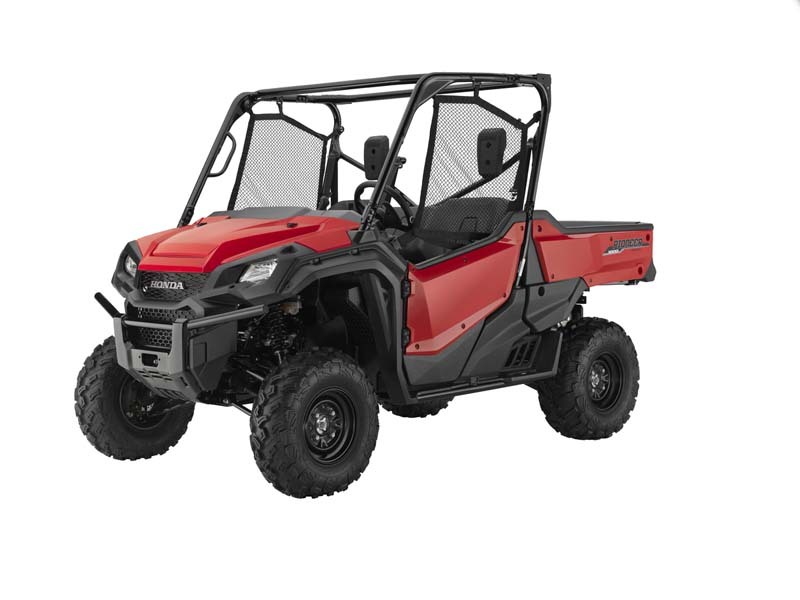 The reviews are fairly consistent with the general view that the Honda Pioneer 500 is a nicely priced small UTV that is good for the trail and doing smaller size chores around the farm, ranch or work site. The ability to switch between manual and automatic transmission modes and the performance of the transmission are the favorite feature. The engine size is appropriate and peppy enough. The clever door latch system and handling are other well-liked features. The main negative is that the ride can be harsh and the vehicle could use slightly more suspension travel or better shocks. Dirtywheelsmag.com – Tested mostly on trails made for quads. Tested 2017 version which is the same as the 2018. 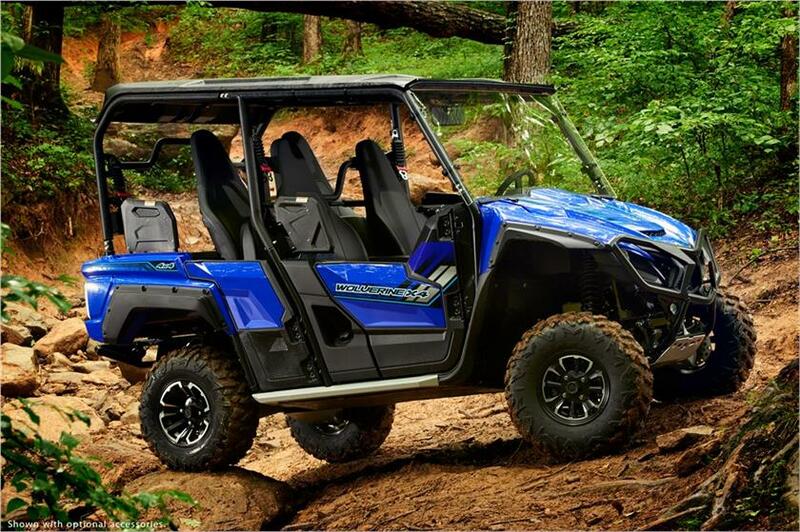 The new 2018 Yamaha Wolverine X4, a 4-passenger UTV designed to be more compact and nimble for recreational use. According to Yamaha managers they are trying to deliver a 4-seat UTV with some of the handling and size characteristics of a two seater and a high degree of versatility. They believe this segment of the market is currently underserved. UTVDriver.com – Yamaha sponsored test drive at the Brushy Mountain Motorsports Park in Taylorsville, NC. Tight trail conditions. UTVGiude.net – Yamaha sponsored test drive at the Brushy Mountain Motorsports Park in Taylorsville, NC. Tight trail conditions. UTVsportsmag.com – Yamaha sponsored test drive at the Brushy Mountain Motorsports Park in Taylorsville, NC. Tight trail conditions. Comfortable seats but footwell area cramped for 6` 3″ driver. ATV.com – Yamaha sponsored test drive at the Brushy Mountain Motorsports Park in Taylorsville, NC. Tight trail conditions. Enthusiast Video and Review – jay_man81 – Local dealer demo event. Walk around video and separate ride video. Power in between Pioneer 500 and 1000-5. The new Challenger 400 4×4 UTV from Cub Cadet. 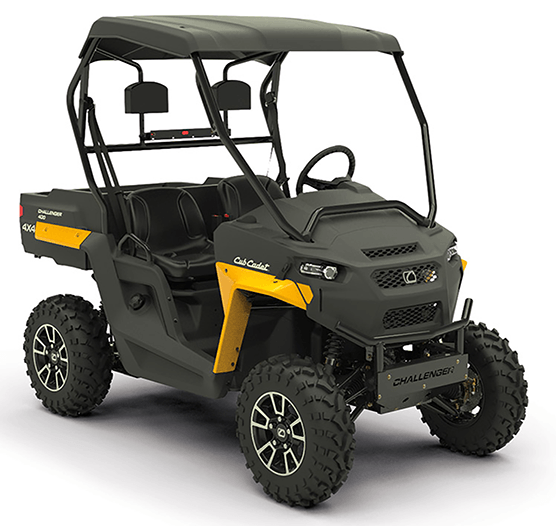 Cub Cadet continues to expand their utility vehicle line-up with the new Challenger 400 4×4. Building on the 2WD Challenger 400, the compact Challenger 400 4×4 has four-wheel drive and at only 50″ wide can fit into the bed of a standard pick-up truck. 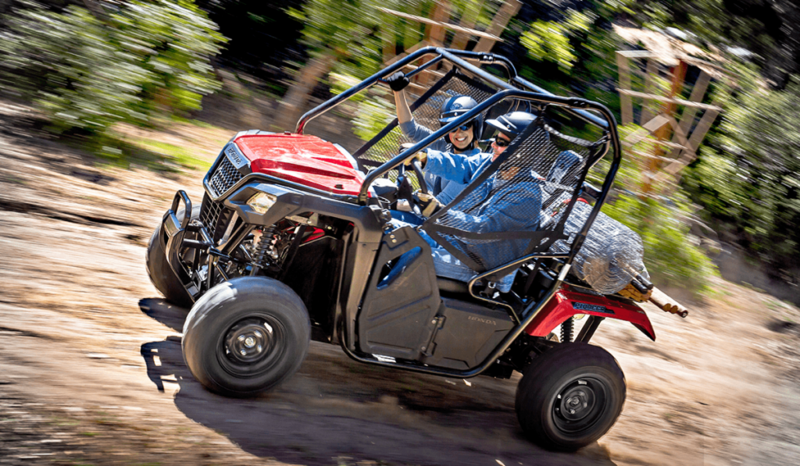 The new model is being positioned as a compact crossover UTV for work or play. The MSRP for the Cub Cadet Challenger 400 4×4 is $7,499. See the manufacturer’s video explaining key features. SVR’s Take: Cub Cadet has really committed to reinvigorating their utility vehicle line-up. They started with the launch of the Challenger series in 2015 and have steadily added models to their lineup. The work and crossover segments have become highly competitive as many manufacturers view these market segments as growth opportunities. However, to be viable in these segments manufacturers need to make a long term commitment to product development, as the main players in the UTV market are frequently launching new vehicles and smaller manufacturers and imports are active as well. In addition, the main players have taken notice of the success of brands like Cub Cadet in the value end of the market, and launched new lower priced models or enhanced the value of their existing lower priced models. 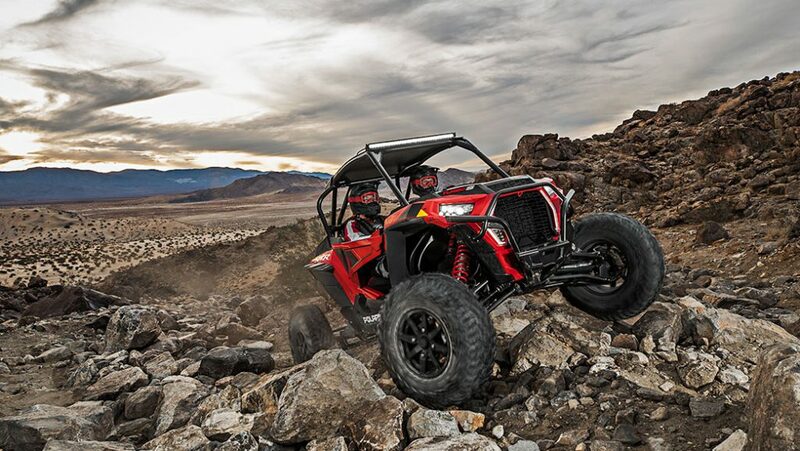 The RZR XP Turbo S has 25″ of usable front and rear suspension travel. The RZR XP Turbo S is available in Indy Red or Polaris Blue and has an MSRP of $27,499. Below are highlights from reviews of the RZR XP Turbo S from a Polaris arranged test drive event in the desert near Las Vegas, NV. Not surprising for a high end vehicle, the reviews in general are predominantly positive. The Dynamix Active suspension with the new FOX shocks is a big hit. Reviewers are amazed at how the vehicle handles rough terrain and can corner. Reviewers noted the difficulty of the trails on which they drove the vehicles and on several occasions the vehicles easily handled terrain where the driver thought they had pushed the envelope too far. The new steering wheel is also widely praised. While the turbo provides the same horsepower as the previous RZR Turbo model, reviewers found the power output to be more than adequate and good throughout the throttle range. On the negative side, seat comfort could be an issue, one reviewer wants full doors and one wants a lower low range for rock crawling. The 4-point harness is welcomed but can take some adjusting. Usable travel is the distance from the bottom of the tires while at full droop to the skid plate. Forbes.com – Las Vegas test drive – This reviewer’s perspective is from a rider less experienced with high-end side-by-sides than the typical reviewers. SXSBlog.com – Full video review. Includes an informative discussion with Polaris technical about how the Dynamix system works. This accompanying article provides an in-depth technical review.